Louis R. “Pep” Pomerleau, 93, of Saco, died Sunday, October 28, 2018 at Seal Rock Health Care in Saco. He was born September 25, 1925 in Westbrook a son of George O. and Antonia (Dion) Pomerleau. He was educated in Portland. He attended Cheverus High School and was captain of the football team his senior year; he left school before graduation to enlist in the Army, completing his schooling upon his return. Louis was awarded the Purple Heart for injuries sustained in combat. On September 5, 1946 he married Jacqueline Bouthot in St. Andre’s Church. For 30 years he worked for the United States Post Office, first on the Mail Train, and then at the Portland Post Office. He was a member of the Biddeford and Saco Elks Lodge and the Purple Heart Association. 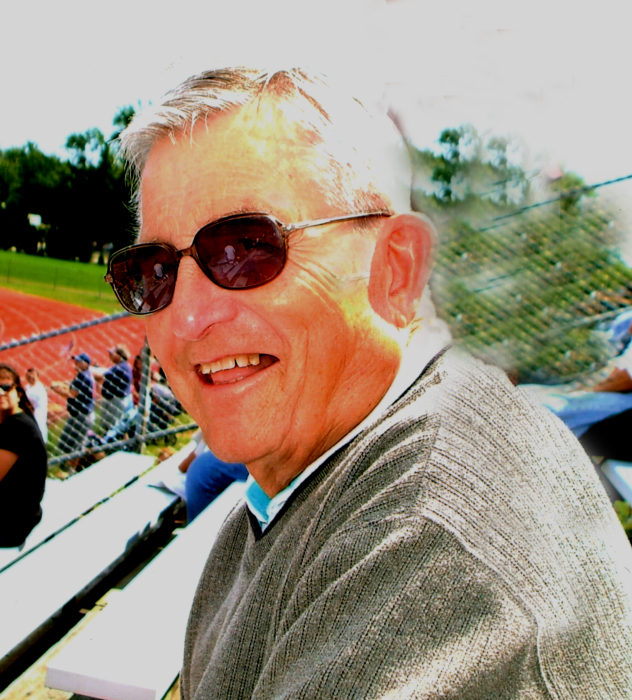 An avid sports fan, he had faithfully followed the sports activities of his children and grandsons. Louis was preceded in death by Jacqueline, his wife of 52 years on June 7, 1999, and also by a baby brother Richard. Visiting Hours will 10:00 to 11:00 a.m. on Thursday, November 1, 2018 at Hope Memorial Chapel, 480 Elm Street, Biddeford, ME 04005. A funeral service will follow at 11:00 a.m. in the Hope Chapel. Burial will be in St. Joseph Cemetery. To share condolences online, please visit www.HopeMemorial.com. In lieu of flowers, donations in memory of Louis may be made to: Thornton Academy Athletic Complex Capital Campaign, 438 Main St. Saco, ME 04072 or to Animal Welfare Society, P.O. Box 43, West Kennebunk, ME 04094.